Psoriasis on foot is treatable in much the same way as when it appears anywhere else on the body. Sufferers sometimes fail to realize that the only real way to combat this skin condition is by being tenacious. If one method does not seem to offer any relief, another one may work wonders. It has also been found that combining treatment methods often produce better results. 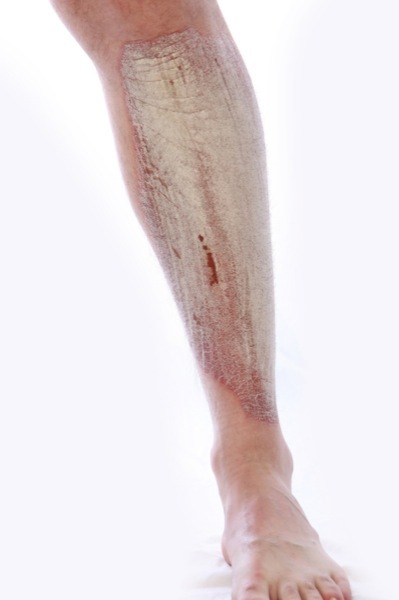 This skin problem poses significant challenges when it affects the feet since they are our main means of conveyance and in some cases affects mobility if allowed to spread. Psoriasis on foot is sometimes emotionally distressing and makes social interaction awkward for the sufferer due to the appearance of the skin and the itching it sometimes causes. Some sufferers are so embarrassed by the scaly, red feet resulting from the condition they avoid wearing sandals and other clothing that exposes the feet. Special Ultra Violet (UV) machines are often used to bombard affected skin with controlled does of UV light. This method referred to as phototherapy, is also used to treat the hands if they are also affected. When the condition is bad or slow to react to other treatment, the drug psoralen is combined with phototherapy in a treatment method known as PUVA. PUVA is often quite successful when used to treat the condition when it occurs on tougher areas of the skin. Simply spending some time in the sun is also recommended, but this should be done when the sun’s glare is at its lowest. Of course sun protection measures that prevent overexposure are still necessary. Coal tar is used to prevent the rapid production of skin cells, considerably slowing the progression of the disease. This product can be purchased in strength ranging from 0.5 to 5 percent over-the-counter in pharmacies. Coal tar can be found as an ingredient in a number of personal care items such as body washes and skin creams. The FDA has expressed concerns about this ingredient, suggesting that products should contain a concentration of no higher than five percent. Steroidal compounds are quite effective at controlling psoriasis on foot, and the tougher skin on this area of the body is less sensitive to this form of treatment. Corticosteroids are usually applied topically in creams which are applied as prescribed. Washing the feet with soaps and creams containing salicylic acid improve their appearance. These items can be easily purchased over the counter but sometimes a doctor will prescribe special solutions containing salicylic acid to treat the condition if it is proving resistant to treatment. People having a hard time with psoriasis on foot require to maintain the skin hydrated to speed up recuperation and also to avoid a reoccurrence of the problem. With correct therapy and also skin treatment techniques, psoriasis could be taken care of efficiently.